Interaction of Radiation with Quantum Devices, T.M. Klapwijk (PI). Project No. 17-72-30036. (August 2017 until Dec. 31st 2020). See Jobs. 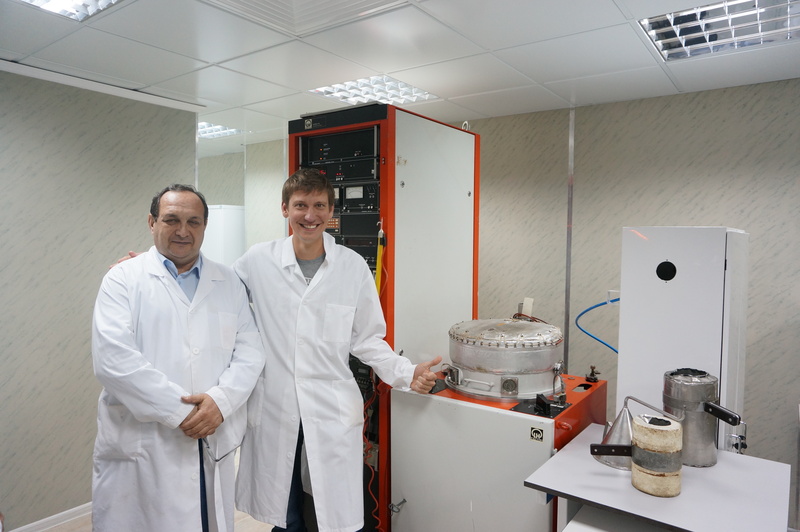 Today, on November 13th 2014, for the first time our laboratory reached the temperature of 10 mK or -273.15 centigrade below the boiling point of water. Moscow is really getting cold! The 2014 International Symposium on Space Terahertz Technology (ISSTT) was held for the first time in Moscow. In one of the buildings of the Higher School of Economics some 150 scientists got together to exchange the latest developments in the THz technology for astronomical observations. For more details and the programme, please visit http://isstt2014.hse.ru. 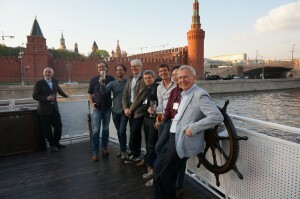 Below are a few pictures taken during the conference and the boat-trip along the Moscow River. At the front, Thijs de Graauw, advisor at the AstroSpace Center of the Lebedev Institute on the Russian Space Project Millimetron. He is a former PI of the HIFI Instrument of ESA’s Herschel Space telescope and a former Director of ALMA, the Atacama Large Millimeter Array in Chile.